EBCC Board 3rd Vice President. Veronica Robles Cultural Center. “Veronica is a cultural gem in the state of Massachusetts. Songstress, educator, media producer, businesswoman, community activist, cultural ambassador she brings it all to the table”. She is an incredible role model for young women, and an enormous contributor to our cultural wealth.” SENATOR SONIA CHANG DIAZ. [D-MA]. Ms. Robles is a multitalented Media personality. Her services include concerts and performances singing with her Mariachi ensemble, as teaching artist she performs in schools providing Latin American Cultural Shows and Dance Workshops. 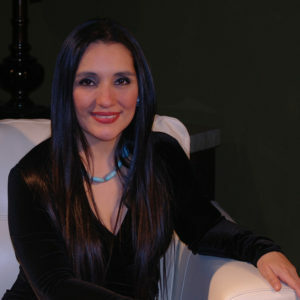 She is vice-president of LTV Productions Corp. her company provides Video and Music Production, and Marketing Services. She is a radio and TV producer and host. Veronica is aldo Founder and Executive Director of the non-profit organization Veronica Robles Cultural Center located in East Boston. In 2015 she was appointed by Mayor of Boston Marty Walsh to serve on the cultural leadership board for the Boston Creates Cultural Initiative, she is also co-chair on the East Boston Cultural Team. She is a member on the board of directors of the East Boston Chamber of Commerce and she serves on the branding committee of Lawrence Arts and Culture Initiative lead by Mayor Dan Rivera. She is also member of the Latino Leadership Working Group of Boston and board member at East Boston Central Catholic School. She also volunteers her time to many other groups and organizations. Veronica is currently married to Mr. Willy Lopez her business partner and musical producer. They have been together for the past 22 years. All her work is dedicated to the memory of her beloved and only daughter Kithzia Lopez Robles who passed away in 2008 at a very young age. Veronica Robles is a women of courage and principles; as a cancer survivor she lives her live to the fullest, filled with joy, passion and love.